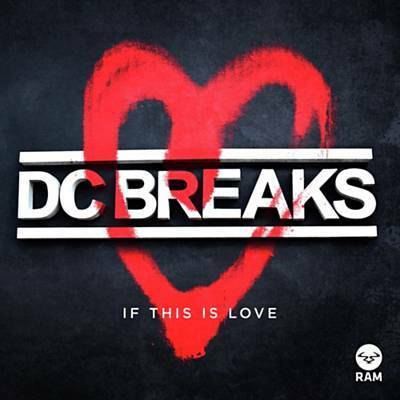 Presenting a multi-dimensional approach to music-making, summer anthem ‘If this is Love’ demonstrates DC Breaks’ widespread appeal. Keeping the hard-lined dynamics which made them so digestible to a drum & bass fan base, whilst creating dancefloor cross-over tracks like ‘Faithless’, this next record is the perfect follow up to solidify their title as production heavyweights. Incorporating live percussion whilst pedestalling that driving bassline that makes DC Breaks so destructive in clubs across the globe, the guitar stroked follow up is both beautifully composed but doesn’t lack the flare which makes them so recognisable. It’s the perfect starter to the year’s fairer season; a track to dominate the sunlit airwaves as well as sets at festivals worldwide. Also having just delivered a monumental remix on both RAM Records and dancefloor pioneer Spinnin’ Records, Eelke Kleijin’s mistakes was given an up-tempo revamp which has further pushed DC Breaks into the agenda’s fore front. And on the flipside, DC Breaks take you from the sunny daytime vibes of any festival, straight into the heavier subs of stages soaked in darkness. The VIP for ‘If this is Love’ is punchier and more reminiscent of their darker rollers ‘Swag’ and ‘Lock In’. However, it still utilises the harmonic instrumentals prevalent throughout the original, creating a dancefloor number which is as undeniably catchy as it is ingeniously written. Look no further for a more aggressive revamp with a heavier riff; one likely to see you into the early hours of every tent this summer. And their most recent announcement, which is a slot at London’s biggest drum & bass event to date, the RAM Records stage at the iconic SW4 festival will see the duo bring their debut album to the decks. On top of headline slots at some of Europe’s biggest festivals, including Dour, with more dates exciting dates soon to be announced, all paths this year lead to DC Breaks.